Picking a cellphone plan is like picking toppings for a pizza ­— everyone has different preferences. Some people only need a basic plan for making a few phone calls now and then. Others find their cellphones absolutely indispensable, and need access to a steady and fast stream of data all the time. It takes multiple ingredients to satisfy everyone! In order to find a cellphone plan that is right for your individual needs, it is important to assess your usage. This will help to ensure you don’t end up paying more than you need to for a package that is designed for heavier users. It will also ensure that, if you are a heavy data user, you don’t have to worry about running out. The easiest way to accurately assess your needs is to take a look at a previous invoice. You’ll see the amount of data, minutes and messages you’re using. You can also look at data usage on your smartphone. For iPhone users, go to Settings, then Cellular, and scroll down to see how much has been used in the current period. For Android users, go to Settings, then Data Usage, and scroll down to see what you’ve used. If you’ve never reset the meter, you may want to reset it and then check back on it a short time later, such as a week or a month. Keep in mind that if you’re accessing Wi-Fi at home or at the office, you are not using data from your cellular plan, so factor this into how much data you really need. Once you understand what you really use, compare it to what’s included with the wireless plan you’re on. If it offers too little, or way more than you’re actually using, see if different cellphone plans are available that fit your specific needs better, and more affordably. While many larger carriers now push you toward expensive “unlimited” plans, a company like Consumer Cellular offers a range of low-cost plans designed to fit every type of user, from a simple 250-minute talk-only plan to plans including unlimited minutes and up to 20GB of data each month. Best of all, they’re completely flexible — if your needs change, you can switch plans right up to the last day of a billing cycle with no extra fees for doing so. They also automatically upgrade your plan if you go over your data usage, so you get the best rate for what you actually use, rather than paying a penalty, or having to carry a costly “unlimited” plan just to prevent going over. And don’t forget about the advantages of having a family plan. You can add lines to your account to share the minutes, texts and data on your plans and save on the expense of everyone carrying their own service. But shop wisely; each carrier will handle additional lines a little differently, with some major carriers simply doubling your bill if you add another user, while others offer more economical options. There are a wide variety of cellphone plans available to suit all requirements, preferences and budgets these days. Don’t settle for pepperoni when you really want peppers and mushrooms! All you have to do is determine your needs and then look for the most suitable cellphone plan to get what’s right for you. Compare data included with the cellphone plan you’re on to what you actually use. If it offers too little, or way more than you’re actually using, see if different plans are available that fit your needs. 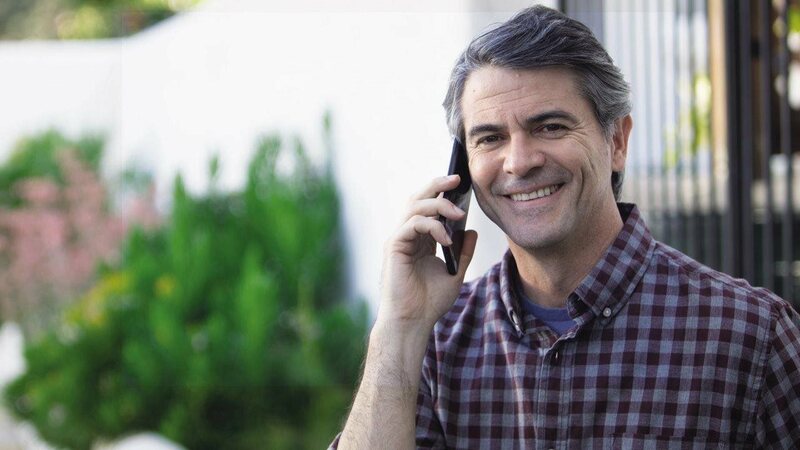 While many larger carriers now push you toward expensive “unlimited” plans, a company like Consumer Cellular offers low-cost plans to fit every type of user, from a simple 250-minute talk-only plan to plans including unlimited minutes and up to 20GB of data each month. If your needs change, they are flexible so you can switch plans up to the last day of a billing cycle with no extra fees. They also automatically upgrade your plan if you go over your data usage, so you get the best rate for what you use, rather than paying a penalty, or having to carry an “unlimited” plan to prevent going over.